For those who are familiar with the ever famous 10-step Korean beauty regime, the thought of cleaning your skin with oil definitely isn’t news for you. For those who aren’t, it’s about time to be enlightened. Cleansing oils have been around for decades now, though the idea of using them hasn’t penetrated the market as thoroughly as the usual foam cleansers have. A shame, though it is understandable why people shy from it. Why put more oil on your face when you want to get rid of the grease on your skin? The answer is simple: it’s because this oil is here to gently pull away the dirt and oil from your skin without drying it. It is commonly used as the first step of the Korean double-cleansing routine, to allow your foam cleanser to work more effectively in cleaning your skin afterwards. The end result? Super clean skin without dryness. Like most, I was initially a bit apprehensive about using a cleansing oil but after hearing the glowing praises people have for it, I decided to give it a shot. 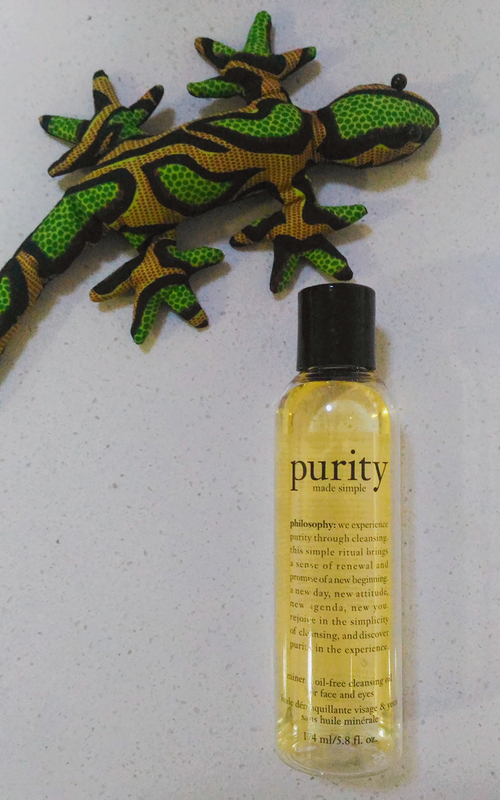 So into Sephora I went, where I decided on Philosophy’s Purity Cleansing Oil. Priced at RM105, this cleansing oil is admittedly on the more expensive side of the market. Fret not if you do have the money to spare, however, because it does do its job. Thanks to its lack of viscosity, this blend of natural oils glides on my skin like a dream. It managed to remove my powder, foundation, eyeliner and mascara without much effort- just make sure you really get that oil in there! What’s more, washing it off is really easy too. It immediately emulsifies upon contact with water and my skin is left feeling comfortable with zero dryness. Pretty much a fuss-free experience. My only comment on this product is that it does leave a slightly grimy film even after rinsing it off, but this is easily fixed by following up with a foam cleanser. Additional note: Make-up used in removal are Christian Dior’s DiorSkin Forever Compact, Benefit’s Hello Flawless! Oxygen Wow Liquid Foundation, The Body Shop’s Liquid Eyeliner and Benefit’s Roller Lash. This oil carries a sandalwood scent, one that is thankfully not overwhelming. While I’m not exactly a fan of scented products, this isn’t meant to stay on my skin for long anyway, so I let it slide. I’ve also noted that the smell fades after a couple of months. Something people like myself would rejoice in. Surprisingly, I’ve had this bottle for well over half a year now and I still have about a third left. Pretty amazing, right? I’m personally not a fan of the bottle this comes in. Aesthetically speaking, it is sleek and easy to pack for travel (no fussy pump to deal with! ), but when it comes to practicality? No, not really. Spills occur more easily; so much that I’ve lost count of the number of times I’ve had half of the poured out oil on my palm, and the other half on the bottle itself. Then there is the matter of having to be more careful with how much you pour out. Too much, and you’re wasting precious product. A contrast to the controlled portions pumps give you. Definitely not a good mark in my book. This bottle could do with a pump. Something I might go back to if I have the cash. Till then, I’ll be scoping out the market a bit more for something better. Isopropyl palmitate, isopropyl myristate, sorbeth-30 tetraoleate, hydrogenated polyisobutene, caprylic/capric triglyceride, olea europaea (olive) fruit oil, polyglyceryl-10 myristate, aqua/water/eau, limnanthesalba (meadowfoam) seed oil, glycerin, tocopheryl acetate, tocopherol, parfum/fragrance, ppg-2 hydroxyethyl cocamide, caprylyl glycol, phenoxyethanol.